Seems like a good location. That's one way of extending cafe's seating capacity! Peaceful location by the water, and reasonably cheap food . . .Can't go wrong here. 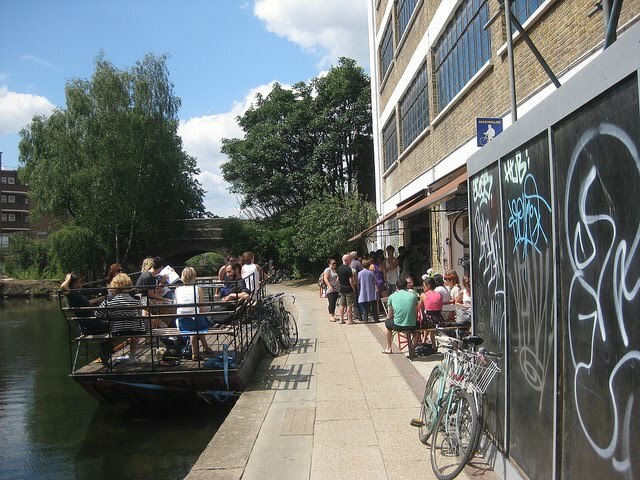 There should be loads more of these cafes along the canal path. Must be room elsewhere. This place has just served me the best meal I've eaten all year. And it was for lunch! Chef lady that works there is to be congratulated - she just served up spot on juicy cumin lamb, stunning spiced cauliflower and delicious crispy chickpeas. The whole combination was just incredible, I was totally stunned, it was that good.